Informazione prodotto "Novation Launchpad Mini"
The small Novation Launchpad Mini was designed for the iPad generation and comes with a suite of software, including Ableton Live Lite, for your Mac or PC - plus the Launchpad App for iPad. 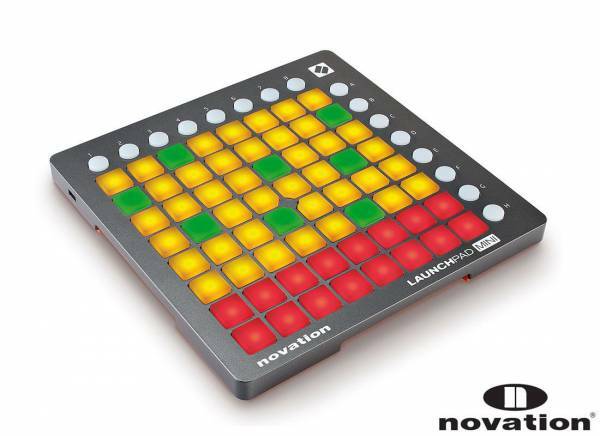 This compact version of the celebrated Novation Launchpad performance controller features 64 velocity-sensitive, three colour illuminated launch pads for iPad, Mac and PC - use them to launch loops, sounds, effects and more. Launchpad Mini is both compact and sturdy enough to withstand life on the road; it's easy to transport and instantly ready to perform. The lightweight Launchpad is totally bus-powered, so that there's no need for a power supply or any batteries: just connect the Launchpad Mini to your iPad or computer and you can perform music immediately. Trigger clips and scenes, control volumes and sends and much more with the included Ableton Live Lite software. Launchpad for iPad includes a pre-loaded professional sound library that you can use instantly to create unique performances and turns Launchpad Mini into an integrated performance instrument. In addition to the built-in sounds, you can import additional sound packs or even your own sounds when you need them. Complete your performance with filters and DJ style effects - and then share your creations with the world. 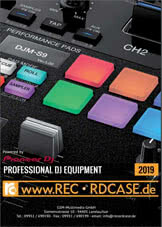 Plus, get hands-on control of FL Studio 11 using Launchpad Mini’s 64 pad grid. Stickers are included to label the keys as you want. As part of Novation’s Launch family the Launchpad Mini can be paired with other Launch keyboards or MIDI-Controller from Novation. Extend your production studio and use multiple Launch family products together to unleash awesome performance possibilities. Launchkey Mini is 'plug and play' compatible with most modern computers and the iPad. Sii il primo a scrivere una recensione per: "Novation Launchpad Mini"